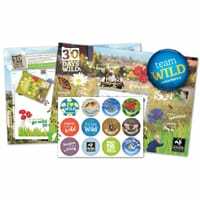 Wildlife Trusts is giving away free summer activity packs that includes a poster, stickers and a pack of wildflower seeds. Just fill in the form on next page and you will get your free wildlife pack delivered at your doorsteps. Click on “GET IT HERE” button and then follow instructions given above to receive free wildlife pack.